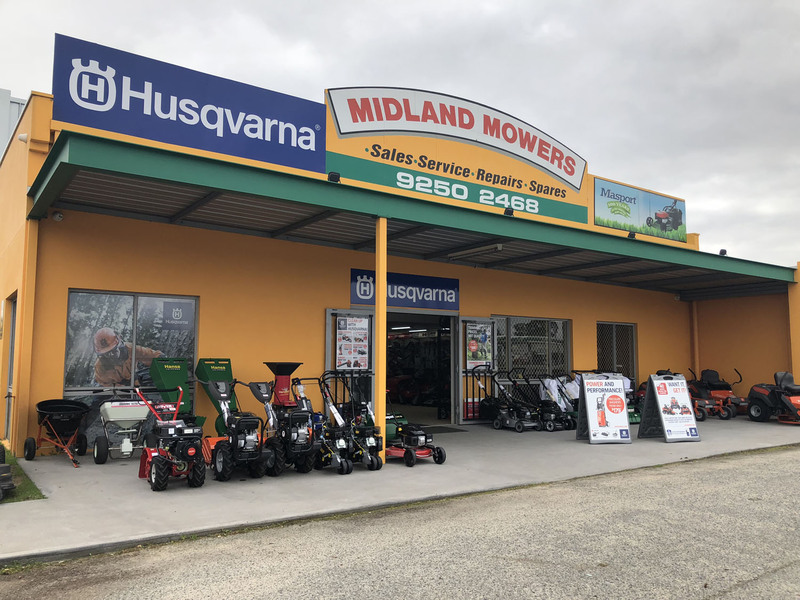 WA’s Most Awarded Lawn Mower and Machinery Shop! Over the many years Midland Mowers have been acclaimed for our service and unbeatable prices, which is why the top brands award us with their most prestigious accolades. Recently receiving the Husqvarna Platinum Dealer Award for “Recognising Sales Excellence and Outstanding Commitment” being the first dealer in Western Australia to receive such an award!! More reasons to visit Midland Mowers. Welcome to Midland Mowers. We are Perth’s leading supplier for all of your lawn mowing and garden equipment needs, so whether you are looking for a domestic or commercial equipment, we will be able to assist you. Our shop has a vast variety of quality products and parts that we sell and service. Midland Mowers was established in 1985. In 1988 Vic D’Ascenzo started work as a young lad out of school and in 2010 bought the business and registered The Briggs Shop to run in conjunction with Midland Mowers and Machinery. Vic has been associated with Midland Mowers and The Briggs Shop for 33 years and knows the business and his clients well. Well known for his knowledge in the area of service, repairs, parts and sales of anything to do with lawn mowers and power garden equipment, whether it be push mowers, ride-on mowers or associated machinery, Vic is your man! Midland Mowers is a multi award winning shop, state and nation wide. We have the TOP National Dealer for COX Lawn Care Products. We have been award winning since 1988, for top brands such as Cox, Masport, Victa, Echo, Shindaiwa & Hansa. We strive for excellence in all our services. Vic and his staff pride themselves on outstanding customer service and customer relations, and ensures all his customers needs are met. If our team does not have what you need, be assured we will do our best to source what you require.